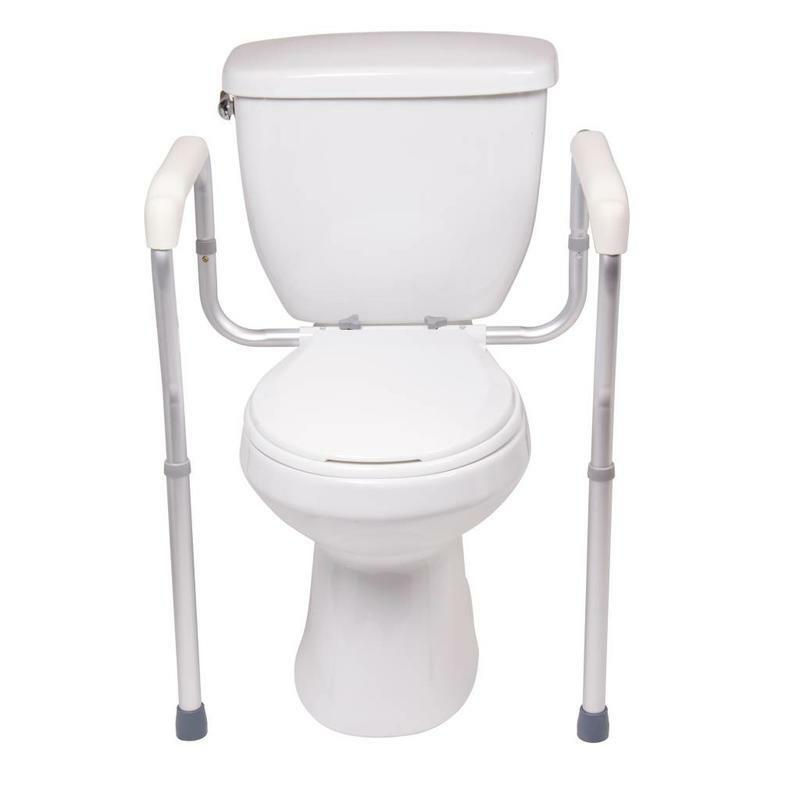 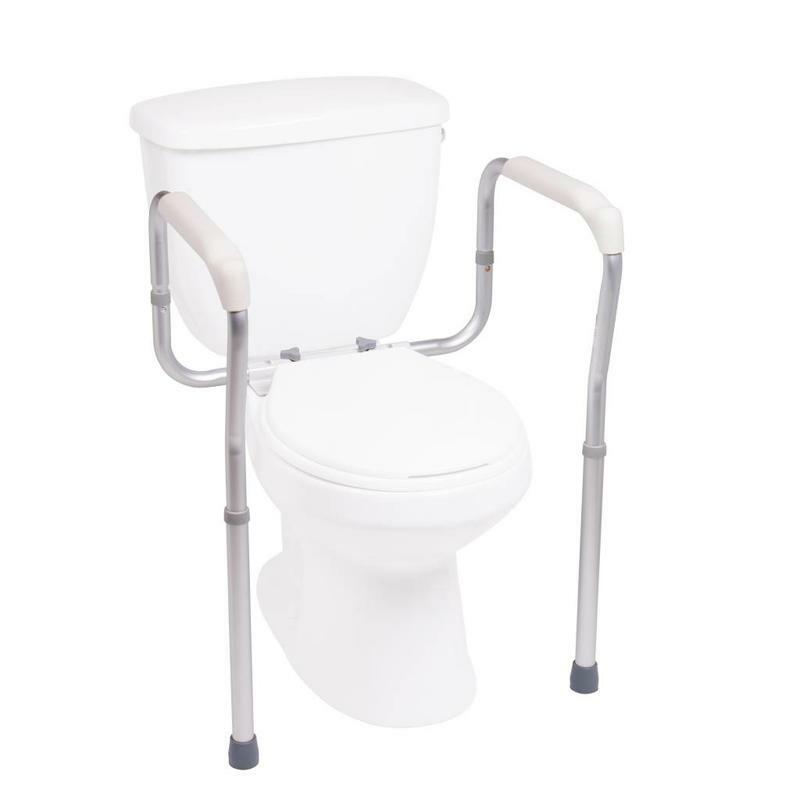 Toilet Safety Rails increase a person's ability to raise or lower onto and off of the toilet safely and without additional help. 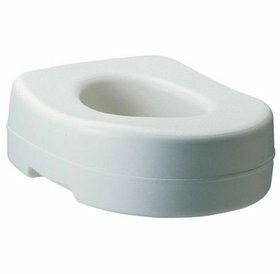 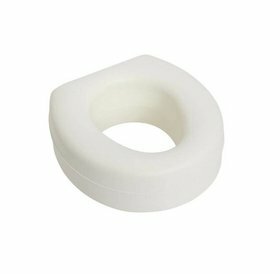 It's a quick installation by removing the bolts that attach the toilet seat and replacing those (plastic) bolts with the included hardware. 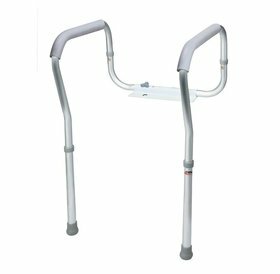 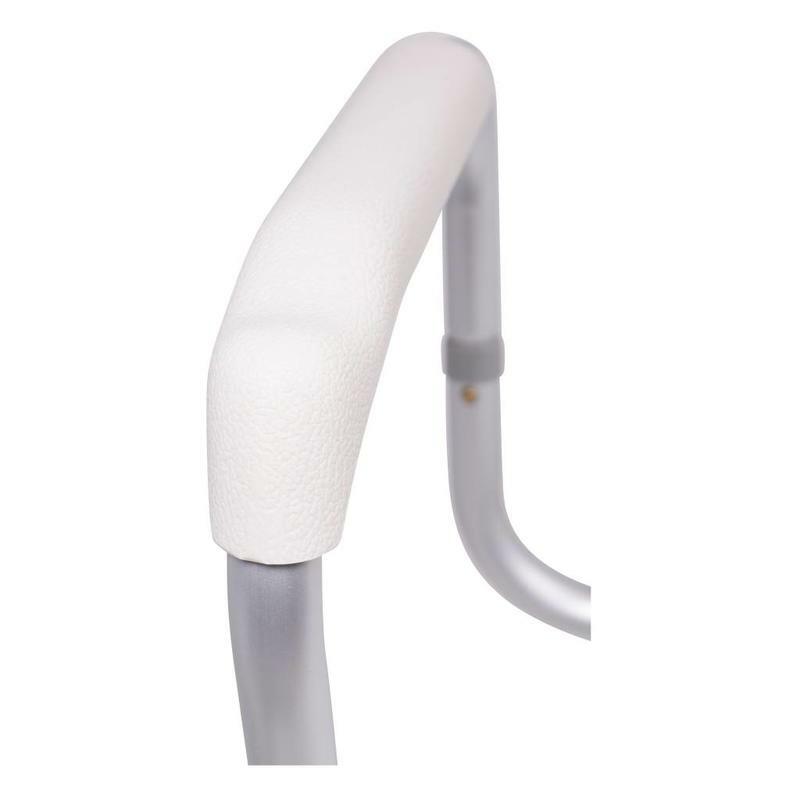 • Arm height adjustable between 25.75" - 30"
• Width between arms 17.5" - 20.5"